Let’s just go ahead and get this out of the way: this post might be controversial. I’m going to talk about some touchy subjects, but I’m trying to bring some transparency and enlightenment into the world. If you’re a regular reader, you know I don’t normally post like this and pretty soon we will be back to our regularly scheduled programming. If you’re new to my blog, stick around and read a few other posts. Normally, I’m posting about happy-go-lucky, informative (if a bit long-winded) stuff. If you have really passionate feelings about anything in this post, feel free to comment. However, any comments should be made in a polite and respectful manner with no cussing or name-calling. It’s okay if you disagree with me or anyone else, but let’s keep it civil. So what’s all this brouhaha about? Five Things You NEED to Know on the Beautycounter Launch at Target. Target is pretty awesome. Women can always count on it to be a one stop shop for everything from groceries to cute shoes. Like most big box stores, I usually can’t leave without spending money. But at Target, they always have the cutest stuff so I can’t leave without spending at least $200! They are known for exclusive collaborations with awesome creators like fashion designers, interior decorators and celebrity lines. Beautycounter is their latest exclusive launch. Beautycounter’s mission is “to get safer products into the hands of everyone”, so they created a “The Never List,” a compilation of 1,500 ingredients, including parabens, formaldehyde and mercury, that the brand will never use when making it’s products. That’s great, right? Yes, if that were the end of the story. You know I love supporting safe products. In fact, I was looking up the launch date to put into my calendar when I found all the information I’m about to share with you. So, let’s rip off the proverbial band-aid, shall we? Now, are all MLMs inherently bad? NO, ABSOLUTELY NOT! I have a multitude of friends that are distributors, consultants or representatives for MLMs. They are committed to selling a product they believe in that you can get exclusively through them or other consultants. But the truth is, MLMs are not usually a good business investment. According to an independent study report by the FTC: “…less than 1% of MLM participants profit. MLM makes even gambling look like a safe bet in comparison.” Ouch. I was even a card-carrying seller with an MLM, whose products I loved (and still do), but how their organization treated me almost cost me this whole blog and a whole lot more. Again, there are long-running MLM companies that are very generous and I have several friends who have been very successful. I don’t want to discount those in any way, but those successes are the exception. If you keep reading I think you’ll agree that Beautycounter is not one of those exceptions. So let’s go back to what initially drew my eye: Beautycounter’s commitment to products with safe ingredients. They have a list of over 1,500 ingredients that they promise to never use. They regularly pour over all sorts of studies and even commission some of their own to examine ingredients for toxicity. That’s awesome. But that’s not the whole story. They don’t claim to be all-natural, “Over 80% of the ingredients in our products are organic, natural or plant derived. The others are synthetic…but that doesn’t mean that they are unsafe.” I get it. To mass-produce things economically and safely, you often have to include synthetic preservatives to make sure your products don’t spoil and kill someone. I’ve said time and again (most recently in my Detoxified Makeup post) that natural skincare is not an all or nothing process. Any little step helps in the journey towards a healthier life. To foster transparency, Beautycounter even provides a complete glossary of their ingredients. But they still use some ingredients where the “safety” is questionable and the skin irritation is confirmed, like Dimethicone, Phenoxyethanol, and Sodium Benzoate. Phenoxyethanol has been on a lot of other companies’ “black list” for longer than Beautycounter has even existed. You say Pa-tay-toe, I say Po-tah-toe. And as for their “guarantee” of safety, read that last paragraph in this graphic. —–> It says they actually can’t guarantee that trace amounts of ingredients on their “never list” won’t actually end up in their final products due to supply chain complexities. So, they can pour over safety studies about an ingredients’ toxicity, and even commission their own when they want to know more about that ingredient to see if they need to add it to the never list or use it in their product. But what they can’t do is test their own products at the end of the line for said ingredients before they get to consumers? Putting together a list of banned ingredients you won’t intentionally add is useless if you don’t actually guarantee those ingredients aren’t in your products! Digging a little deeper into the subject of the ingredients they use, I searched several times for the specifics of their “organic, natural or plant-derived” ingredients. I love plant-derived ingredients y’all and I wanted to know all about the skin goodies in their products. But, I could not find details anywhere (even that handy ingredient glossary) on which of their ingredients were organic, whether the ingredients were raw, unfiltered, processed, cold pressed, expeller pressed or steam distilled. I even did a page search on several of these terms on the ingredient page: “Organic” occurred zero times, as did “pressed”, “steamed”, “processed”, and “unfiltered”. Now, the term “raw” did occur three times, twice within the word “strawberry”, and once when talking about the “raw supplier” of a product that has assured them the product is gluten free. The term I did find in a search of their 319 ingredients (yes, I counted) was “synthetic”, which occurred 76 times. Why is this important? Simply put, natural and plant-derived ingredients are at their most effective when they are the least processed. Like when you are talking about bread, whole grain is healthier and contains more vitamins and nutrients than refined white bread. When you refine an ingredient through heat, steam distillation or process it with a chemical, you are essentially “cooking” out the good parts that make it effective. Sunflower seed oil can be harvested by either cold-pressing the seeds, a press process that adds steam to the mix, or a process that also adds a chemical. The chemical process yields the most oil, followed by steam process, but they both also break down more nutrients in the oil, leaving them both less nutritious and effective than cold pressed oils. Most other companies take a lot of pains to disclose when they use the best of the best ingredients. Let’s just compare Beautycounter’s Hydrating Face Oil to one of my favorites, Blissoma’s Restore Deep Healing Oil Serum. Sorry the text is so small. I tried to get all the relevant information close together for comparison. You can still see all the details on each product at the links above. On the left you have Beautycounter’s Hydrating Face Oil, which sells for $68 for a 0.67 oz bottle (that’s a rate of $98.52 per ounce). Blissoma’s Restore Oil sells for $48 for a 1.0 oz bottle, so less than half the price. Beautycounter’s product contains 10 oils, one of which is indicated to be organic (as denoted by *). Blissoma’s oil contains: Nine oils (all certified organic), 3 Plant Extracts (1 certified organic), 4 essential Oils (1 certified organic) & Vitamin E. Again, 11 of those ingredients are organic, and 10 of them are cold-pressed and unrefined. In summary, Blissoma offers more product of significantly better quality (1 vs 11) at half the price. Not to mention the reviews. I can find zero product reviews on the Beautycounter website. The reviews I did find were not good. The reviews on Beautypedia listed 31 items. Several of the brushes had five star reviews, but the highest an actual product received was 2 out of 5 stars. Two out of the three reviews I found on Consumer Affairs were 1 star reviews. When the Beautycounter products launch at Target, it appears face oil will be one of the offerings, but in a 0.33 ounce version. No word on prices yet, but it would stand to reason you’d pay around the same rate, so approximately $34. Target’s announcement said the products would range in price from $12 to $39. If you think about it, Beautycounter really does have a genius marketing strategy beyond that of the standard MLM…errrr, I mean, Direct Sales company. They sell sample sizes at every woman’s favorite store for a limited time and then the way you get more is you have to sign up to either be a member or a consultant. Let’s talk about those two options for a second. To become a Band of Beauty Member (either directly with the Company or signing up under an existing consultant), you have to pay a $25 enrollment fee (which increases to $29 on 9/01/2016), but you get 15% credit on future orders (like a rewards program, but the credit expires after 60 days), a free gift (which is no longer available as of 9/01/2016), and free shipping on orders over $100. That enrollment fee automatically bills you again in a year, at whatever the existing enrollment fee is at the time of re-enroll. Again, this is just for the privilege of buying their products. You still have to pay for the actual products. Oh, and one of the enrollment terms is you automatically consent to receive any and all communication emails from the Company and any Consultant. If you opt out of those emails, your membership is automatically closed, without refund. Or let’s say you like the products you tried at Target and you want to sign on to become a consultant (even though you’re paying twice the price for lower quality products), because the packaging is pretty and you could make some money. The price to become a Consultant is $85, which includes a Starter Kit (a free personalized subdomain on their site, 15 Opportunity Brochures; 20 Client Order Forms; 25 Postcard Invitations; 10 Host Brochures; and a USB drive with training guides on Career Plan, products, and how to operate a Beautycounter business). That $85 includes zero product, but does entitle you to 25% off products. The Commission, called the “Career Plan”, pays up to 35% commission on retail sales and the potential to earn bonuses, override commissions, special incentives, including trips, exclusive Beautycounter items, and access to invitation-only events based on sales and recruiting requirements. Don’t forget the fine print! All of these potential earnings are based Beautycounter’s activity requirements for all Consultants. “In order to maintain active Consultant status, you must meet the following requirement: 1,200 in Qualifying Volume (QV) every six months, 250 of which must be New Volume (NV). This amount includes your personal orders and sales to Clients and Members. Those Consultants who do not meet their six-month activity requirement will be repositioned to Band of Beauty Member status.” In most direct sales companies, “Volume” is generally equivalent to Dollars. In other words, you pay them $85 for an additional portal on their site and some promotional paperwork, plus 25% off products. Then if you don’t turn around and either sell or buy yourself $1,200 worth of product in the first six months (and every six months thereafter), they kick you out and demote you to member status, without refunding your signup fee. If you do happen to make it through the first year, you are charged another $50 per year on the anniversary of enrollment to cover “back office expenses”. I think these terms speak for themselves. Am I saying Beautycounter is evil and Target is cavorting with the devil? No! I still think Beautycounter’s mission, “to get safer products into the hands of everyone” is an honorable one, even if they may have priced their products well outside of everyone’s wallet. By all means, go buy that grossly overpriced teeny tiny bottle of oil. What I am saying though is you don’t have to buy Beautycounter to get safer products at Target! Several of their brands are there on the shelves ALL THE TIME (not just for a limited release) and probably just an aisle or two away from where Beautycounter will be, if not in the very same aisle. Those products are of even better quality at cheaper prices and you don’t have to sign up for an undisclosed number of emails or selling $2,400 worth of product in a year. What brands you ask? One of my all-time favorites is Acure Organics, with prices ranging from $3.99 to $17.49 for face and body skin care, cosmetics, and even baby products. 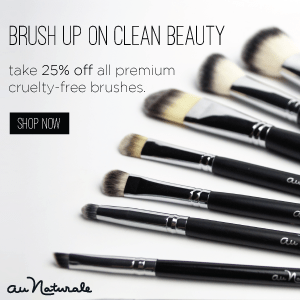 Their products all score between 1-3 on the EWG’s website (same range as Beautycounter). Several of their products are USDA certified organic. It is a family owned and operated company founded on sustainable principles to provide the highest quality natural and certified organic personal care. Everything they make is free of gluten, parabens, sulfates, phthalates, petroleum, silicone, harmful preservatives and artificial colors and fragrances, plus no animal testing. W3ll People is another great one. Their Bio Correct Concealer was featured in my Detoxified Makeup post. Target carries 25 of their products ranging in price from $13.99 to $75.00 (kits with multiple products are that high). EWG scores range between 1-3 on their website, and in fact their products are EWG certified. All products are formulated with no petrochemicals, artifical preservatives, gmo, parabens, dyes, frangrances, sulfates, phthalates, glycols or nano-particles. And don’t forget about the Honest Company, Pacifica, SheaMoisture, Babyganics, S. W. Basics, and White & Elm. All available at Target stores or online, all with EWG scores under three, and all more affordable by volume than Beautycounter. I love and use all of these brands. But if I’m being 100% honest, my favorite green beauty all-natural skin care brand is without a doubt Blissoma Holistic Skincare. Their commitment to safe ingredients and truly transparent practices gives me so much confidence in purchasing all of their products. Every product I’ve entered into the EWG’s website has come back with a toxicity score of 1. I am positively in love with their Free – Rejuvenating Herbal Gel Cleanser and Makeup Remover and the Restore Healing Oil Serum (the same one I compared above). They carry so many products carefully formulated with your specific skin type in mind and every one is packed full of cold-pressed, raw unfiltered and organic ingredients. And at HALF the price of Beautycounter’s prices. You can get them on Amazon, but they aren’t Prime eligible. I recommend you buy directly from their site because they offer a rewards program towards free products (no paid membership required) and free shipping on orders over $50 with email sign up. You can unsubcribe at any time to their emails and still keep the benefits. 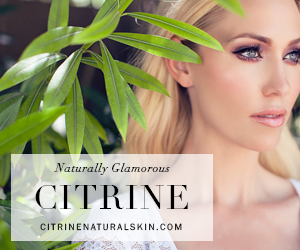 I hope I’ve enlightened you on the awesome availability of wonderful natural products. 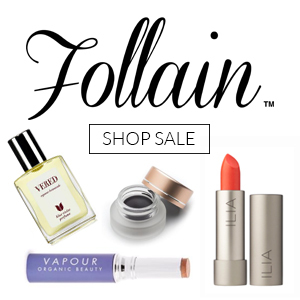 I am so happy there is such an abundance of competition out there for affordable, safe and effective beauty products. I hope you will try one today. I just came across your website this week while I was researching safer skin care products and I too have been considering joining beautycounter but there was something nagging at me about it, so I began researching more about them. That’s when I saw your post here and it makes a lot of sense! It’s hard when you think you have found something great only to feel like you are back at square 1 =(. I plan to look up some of your recommendations here. I also was curious if you have heard of True Botanicals? It looksed like a pretty good one as well and scores really well on EWG. Thanks for any input and for the honest reviews here! Hey Brook! I think True Botanicals looks pretty clean and I’ve heard good things about them. My only issue with them is they seem to be even more expensive than BC. I’m going to stick with Blissoma for same quality at about half the price. “What works for one, doesn’t always work for another.” I feel like people are always going to have something to say about something. Why don’t people just try things out for themselves? If you do your research and find that the product doesn’t have enough value to you to try, then move forward. Why do people have to down talk about other products? The product will speak for itself in the long run. The main problem with the high prices of these items, and the reason I stopped being a consultant, is that if you take apart some of the bottles and look at how much product you’re actually getting, it’s a total ripoff. Take the Nourishing Day Cream. The bottle is about 6 inches tall. If, when you run out way faster than you thought possible for a container that size, you take pliers and pull it open to try to get the last little bit out, you’ll find that there’s a small well, about 1/2″ tall inside that [totally empty] large bottle which is all the product you’re actually getting. I could no longer in good conscience sell my family and friends products they had a hard time affording anyway when they were being fleeced like that. It shook my trust in the company across the board, and it seems that the founder cares more about her bottom line than all women having access to safe and affordable products. Wow CL, that is an eye opener for sure! 😰 Even if they were the full promised amount from the label, they are still grossly overpriced for the quality of ingredients. Thank you for speaking out about your experience as a former representative. 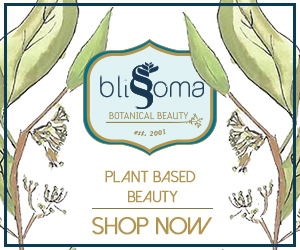 Hi when I search for Blissoma Holistic Skincare on EWG website it states they don’t have that product researched yet you said they score low curious if you just searched every single ingredient instead of looking up the products they carry? That’s a great question. There are a ton of products that don’t show up in the ewg database, so you have choose the “build your own report” option. You would provide all the information including brand & product name, list all the ingredients and then it gives you a score. You have continued access to the report, but the general public does not until EWG actually gets the product and tests it itself. So while I have run a report myself on nearly all of Blissoma’s products (and so many others, I’ve lost count), you can’t see them. With all the products coming out every season, that usually means smaller less known brands don’t typically get added. I probably run my own reports through this feature way more than products that are already in the database. Thank you so much for this post and enlightening people on the mlm, I’m sorry dlm company, it is a fad that will soon be in the list along with mary kay, younique, thrive, rodan and fields. It’s women who’ve never been to school for skin care trying to convince you what you need. It’s all get rich quick and women trying to make a few extra dollars. People fall for mlm’s book line and sinker. You’re exactly right Monica! Can’t tell you how many commenters are BC reps telling me how wrong I am and how BC is the absolute safest. It’s all a marketing campaign. People need to educate themselves and READ THE INGREDIENTS! Hi! I’m really confused about natural products. I searched everywhere because I don’t want to support an MLM. How do Honest Company and the new Burt’s Bees makeup line compare to beautycounter? I was just about to place a huge Beautycounter order to replace all of my toxic beauty products because of the EWG verified rating. But this post makes it sound like Beautycounter still uses toxic ingredients. I would rather get Honest Co or Burt’s Bees for half the price. Do you have any info for a newbie? I have the think dirty app and the EWG website, but the search functions aren’t that great – I’ve been having trouble looking up verified beauty products. Do you have any “go-to” brands? Feel free to email me through the contact page if you have any more questions! Interesting FYI about the DSA. While MLM companies refer to it as a stamp of approval or something, like they are an independent police force or something, their Board of Directors is comprised almost entirely of representatives from the various MLM’s they’re supposedly supposed to be supervising. Kids in charge of the cookie jar basically. I recently was at a vendor fair and the beauty counter rep was telling people that other product lines would cause them to miscarry and get cancer! after hearing that I will NEVER buy from beauty counter. I don’t know how those ladies sleep at night. Oh my goodness! That is positively terrible and completely unethical! While there are studies out there that certainly link a lot of toxic ingredients found in most conventional personal care products to things like increased infertility rates and nearly all breast cancer removed does contain parabens, I have never found a scientific study that declared direct causation to be due to a specific product. There is just no possible way to prove that sort of claim. Yes, I certainly believe that plenty of widely marketed personal care products contain ingredients that are known hormone disruptors and/or carcinogens. But so do cigarettes, and not everyone that smokes gets cancer. I cannot fathom the sort of fear mongering you witnessed. You’re right: how DO they sleep at night?! Honest Company and Babyganics are NOT very “green.” Yes, they may be better than the store brand, but I would not consider them one of the top green companies due to their ingredients. They contain a lot of questionable ingredients and a lot of their products aren’t that greatly rated on EWG. I agree completely Aleks. I don’t use either brand. My point is neither is BeautyCounter very green. But at least with those brands you don’t have to join an MLM or pay nearly as much for other semi-green products also at Target. As I am searching thru the BC website and other green products, I came across this blog and, although thankful for it, feel like I am back at square one. I thought I had finally found “the one” (BC)…a product that I could feel safe using and possibly promote. I am falling into “‘paralysis by analysis”…like, “well, crap. ; now how do I know what/who to trust?” This comment makes my sound like such a complainer (I’m not)…just feeling an little discouraged and looking for suggestions! Thanks for doing so much research…as a mom of 3 littles, “ain’t nobody got time for all that!” lol Looking forward to hearing your thoughts! I know the feeling Sarai! What particular products are you looking for and I’d be happy to suggest a few of my favorites. Also, if you want to email me, you can do that on the “contact” page if you have a lot of questions. I don’t mind and would love to help you navigate these waters. Thank you so much for being willing to take time out of your day to help a stranger!! I am encouraged just by your reply and will take you up on that email offer!! Hi Mona! My favorite primer is Smooth Affair by Jane Iredale (http://amzn.to/2feXO8Y). My favorite liquid foundation is Gressa Minimalist (http://shrsl.com/enyz). I don’t wear powder foundation due to my dry skin, but I have heard many rave reviews about Alima Pure’s Rosehip Pressed Foundation (http://shrsl.com/j9ti). If you are wanting a translucent setting powder, I often use RMS Beauty’s Un-Powder (http://shrsl.com/j9tk). You didn’t ask about a concealer, but I still love W3ll People’s Bio-Corrective Concealer (http://shrsl.com/j9tl). I hope that helps! Hi, I was given Gressa minimialist and and fell in love!! It is time to restock but it is well out of my price range. Do you have any recommendations for something similar in coverage and moisture but much much cheaper? I honestly haven’t ventured yet because I’m near the bottom of the Gressa. But the next items I’m trying are less foundationy and about half the price (links below). They both have stellar reviews on the Detox Market site. Hope that helps! I’m in exactly the same place right now. I thought I had found “the one” also. What did you end up purchasing? I’ve been thinking about trying Beauty Counter but the price was holing me back. There are so many products available on EWG that rank 1-3 and they are so much cheaper. 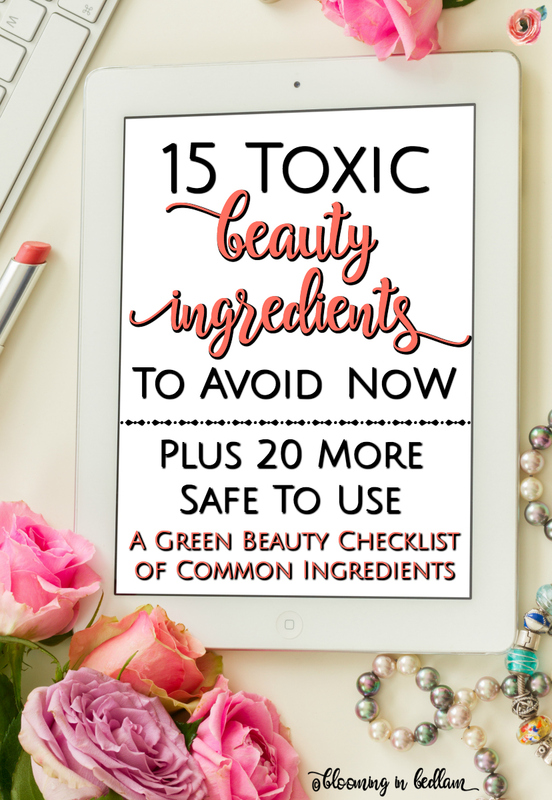 Finding high performance less-toxic makeup has been a challenge for me. A lot of natural brands have odd foundation colors or they don’t last. I want a foundation, not a bb or cc cream. Any favorites? I love this post and find it also very informative. I went through a sales pitch from a friend who sells Arbonne, bought a ton of stuff (that I was disappointed in after I tried) for around $175, only to go home after and not be able to find the full list of ingredients in every product. I could only find the “Key Ingredients,” which of course they’re fine with listing because they’re the organic ones. A truly organic company should have nothing to worry about – some of my favorite organic brands are 100% share-friendly with their ingredients list! 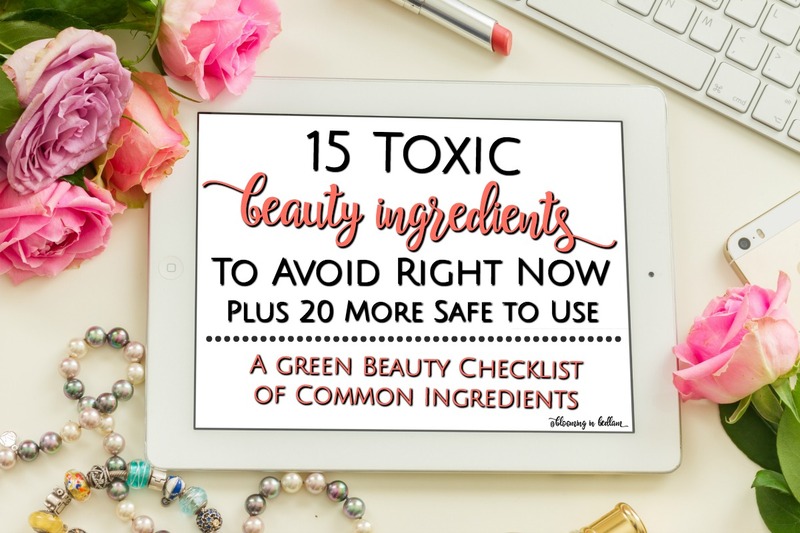 When I heard about Beauty Counter and saw their products listed as “certified” on EWG, I thought I’d try a MLM company again (I didn’t know that Target agreed to carry the line) – but this time I did my research ahead of time, only to find that a lot of the ingredients are, as mentioned in this post, misleading. I’m actually curious to know if Beauty Counter paid EWG to give them a good rating on their site? Hey Raina! I don’t think they paid EWG and they are EWG certified. That doesn’t mean anything more than they officially provided products to EWG for testing and EWG certified their score. I think most of their stuff scored in the 3s and 4s so it’s not that great of scores to begin with. Heck most of the Benefit products I used to use scored better than some of BC’s makeup. For example W3ll People products are also EWG certified, but all those products score a 1. So “certified” doesn’t mean EWG recommends them necessarily; it just means they actually tested the products instead of just giving a score based on the ingredients list. did u see BC scores i didn’t see many in the 3’s and 4’s, but a lot of 1’s . am i missing something? I agree with 100% with your post, just wondering why their reviews are so good on there now? I’ve been looking into Beautycounter and found the same. Disappointing. Goes to show you people believe what you tell them. You have W3ll people and Blissoma at your Target?? I’m jealous! There are a couple W3ll people items in store, but more Pacifica and Acure. But not Blissoma. I only get that directly from their site because of the free shipping and loyalty points. They are definitely my favorite brand! Thanks for reading. Do you have any brand favorites I’ve missed Mel? I’m always looking for a great new one to try. Mysistersays.net carries all natural amazing and effective products. If you email or call off the site, you will get a first time customer discount. My favorite new product line is Rose Phyto3, Made with 100% natural ingredients and rose and acai stem cells with phyto-nutrients.It fully restored my skin to clear, smooth and youthful. So many people have been complimenting my skin. I’m amazed. There’s trial size of the full line too. I’ve never heard of them Amy. I will look into it. Thank you for reading! I completely agree with your post. I didn’t realize that Beautycounter was a DLM company but after looking at their ingredient list, I knew they weren’t really natural. I love Acure and the cost is so worth it! Thanks for the enlightenment! Thank you Roberta! I love Acure and I really love Blissoma too! Yes! I really do love Acure and Blissoma. To put my money where my mouth is, they are the brands I use on myself and my child and the ones I recommend to my family members and friends. I was heading to Target this afternoon anyway…thanks for the advice.